Many thanks to Charles Hannaford and Terry Shaw for the updates. Lost 30/12/1915 sailing for Caen loaded with Pig Iron. More information on Charles Ferris Hannaford and family. Family: Charles Ferris Hannaford was born in Dartmouth on 28th March 1869 and baptised at St Saviour on 10th December 1873. He was the youngest son of Robert Hannaford and his wife Elizabeth Dier Ferris. Robert Hannaford was born in Blackawton where his father and grandfather, George and John Hannaford, farmed at Higher Cliston. Evidently he felt the lure of the sea for he became a mariner. His Certificate as a Master Mariner, which he obtained in Cork in 1864, recorded that he had spent nineteen years at sea, indicating that he first went to sea aged 17. The certificate provides a continuous record of his service for eleven of those years, on ships registered in Dartmouth:the Calypso, as a Boatswain, for nine months in 1852 the Betsy, as Master, from December 1852 to August 1854; the Sarah Ann, as Master, for six years, from August 1854 to September 1860 the Rhoda, of which he had been Master since October 1860 (and on board which he was recorded in Durham on the night of the 1861 Census). On 9th September 1853, he married Elizabeth Dier Ferris at St Saviour. Elizabeth was the daughter of another mariner, Thomas Ferris, who had also captained the Sarah Ann, between 1845 and 1850. She was born and brought up in Dartmouth. In the 1851 Census she was recorded working as a dressmaker. Elizabeth and Robert made their home in Dartmouth. The 1861 Census recorded Elizabeth on her own in the family home in Lower Street with three children: Elizabeth, Robert and Rebecca. Robert (junior) subsequently died aged 5, of scarlet fever. By the time of the 1871 Census, four more had been born: George, Lydia, a second Robert William, and Charles, the youngest. The family were still living in Lower Street. All Robert’s sons followed their father to sea, notwithstanding his death “missing presumed drowned” on the schooner Bonnie Dunkeld, of Dartmouth, lost at sea with his six crew in October 1884 whilst sailing from South Shields for Teignmouth with a cargo of gas coal. George qualified as “Only Mate” in 1882. He had to reapply for his certificate in 1894 when his ship, the J M Lennard, was stranded at Goole on the river Ouse and his papers were lost. Robert achieved his Master Mariner’s certificate for the foreign trade at South Shields in 1897. Service: Charles was therefore fifteen when his father died, and had already embarked upon his life at sea. He had begun his career in March 1893 working for his father on the Bonnie Dunkeld as a cook and steward, but fortunately had left her by March 1884, to join the Chanticleer, a brig registered in London, as an “Ordinary Seaman”. In May 1888 he obtained his first job as “Able Seaman” on the brig Beagle, and in October 1890, his first job as Boatswain, on the SS Fulham, registered in London. He achieved his certificate of competency as Second Mate on 19th March 1892. The form records that he was at that time 5′ 6 ½” tall, with brown hair, hazel eyes and a “dark” complexion. He gave his permanent address as South Ford Road, Dartmouth. On 13th December 1894, Charles married Ida Maria Hickey, at St Saviour. Ida was born in Dartmouth on 29th March 1871 and baptised in St Saviour on 16th April following. She was the third of five children of Thomas Hickey and his wife, Agnes Rogers. Thomas was born in Looe, Cornwall, and joined the Royal Navy in 1860, where he was recorded on board the training ship HMS Implacable in the 1861 Census. He signed on for ten years service in 1864, on reaching the age of 18, and for a further ten years in 1874, having achieved a rating of Petty Officer 1st Class. In 1878 he was promoted to Chief Petty Officer, whilst serving on HMS Renard, on the Australia Station. He retired to pension on his birthday in 1884, aged 38. In the 1891 Census, Thomas and Agnes, and four of their children, were recorded living in Dartmouth in Mansion House Slip. Thomas was working as a boatman. His three daughters, Ann, Ida and Edith were all working as dressmakers, and their young brother Thomas was recorded as a shoemaker’s apprentice. Charles and Ida had three children, all born in Dartmouth: Cyril Charles Ferris, 1st November 1896. Ida May, 18th May 1899. Percy James, 16th August 1903. In the 1901 Census, Ida, Cyril and “May” were recorded at Above Town, Dartmouth – Charles was presumably away at sea. By the time of the 1911 Census, however, the family had moved to Middlesbrough. Charles and Ida were recorded at 21 Surrey Street, with Cyril and Ida May junior. Also living with them were Ida’s parents, Thomas and Agnes Hickey. The Census recorded that Percy was living with his uncle and aunt, his father’s brother George and his wife Mary, and their four children, at 88 Crescent St, Middlesbrough. On 3rd November, 1915, the Friargate was on a voyage from London to Middlesbrough with a cargo of loam, when she struck a mine laid by the German submarine UC6, four miles east of Orfordness. The ship sank. However, all but two of the crew survived, including Charles (it is not known whether Ida was also on board on this occasion); the two who died were Second Engineer Thomas Henry Dolby of Middlesbrough, and Mate Nils Andersen, from Norway. A subsequent report in the Newcastle Journal, of 2 February 1916, stated that “Captain Hannaford … was left for many hours struggling in the icy cold water”. He must have thought he had had a lucky escape – but his luck ran out all too soon. Death: On returning to Middlesbrough, Charles’ next ship was the SS Hummersea. Her Master, Henry Fryett, aged 70, had died while at sea, on 19th November, “supposed drowned”, and Charles was appointed to take his place. The entry for K de Vries in the register of deaths at sea 1891-1972 (National Archives series BT334) additionally records that he was “supposed drowned off Whitby”. The “Mrs Lavers” referred to was Ida’s eldest sister Emily, who lived in Dartmouth and had no children of her own. 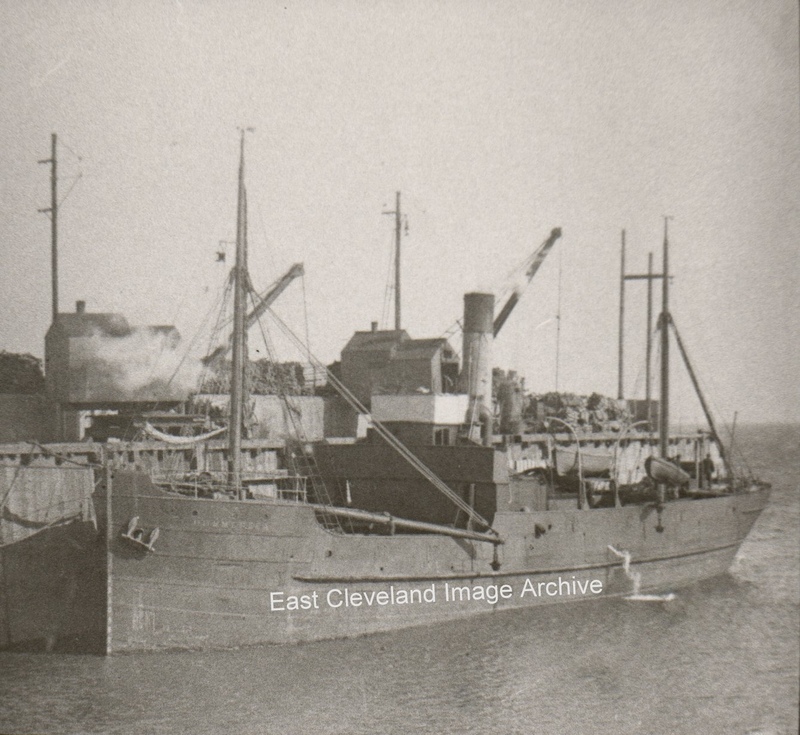 Disposal Detail: The SS Hummersea is listed in the Board of Trade returns in the section on missing vessels, According to the entry the SS Hummersea was an 18 year old General Cargo Steel Screw Steamer carrying pig iron. The Hummersea was not heard of since sailing from Middlesbrough for Caen on 29th December 1915 (other records show 30th December 1915). News began to appear at the beginning of February, on the 9th February1916 Lloyds of London posted her as one of five missing ships which had sailed at about the same time. Hummersea..539grt, built 1897, Missing since sailing from Middlesbrough 30th December 1915 for Caen with pig iron. Glenariff.. 490grt, built 1897, Missing since sailing from Newport 30th December 1915 for Belfast with coal. Tynemouth.. 2222grt, built 1909, Missing since sailing from Cardiff 31st December 1915 for Shetlands/Orkneys under sealed Admiralty Orders with coal. Satrap.. 2234grt, built 1913, Missing since sailing from Barry 31st December 1915 for a Naval Base in the North within five days steam of Cardiff, on sealed Admiralty Orders with coal.